Fiesta and fun at the Barcelona Carnival! 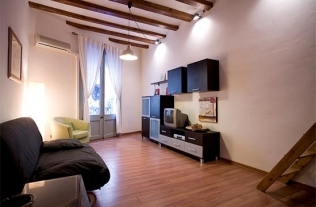 Accommodation Nearby: Enjoy the Barcelona Carnival and stay in one of our monthly rentals in Barcelona! The Barcelona Carnival may not be as grand as other Spanish cities, but here there are also plenty of activities. People normally follow the tradition of dressing up and going out to see the shows. The nightclubs in the city also hold themed nights. If you want to come and enjoy this event, rent one of our apartments near the city centre. In addition, the various foreign communities of Barcelona hold their traditional celebrations from their home country, turning the city into a colourful symbiosis of culture and fun. This year, Carnival 2019 should be no different. The district of Sant Martí, or more precisely the Rambla de Guispúescoa, where there is more activity, you will find live music, parades, dancing and more! What is the Carnival or Carnestoltes? Carnestoltes (as its called in Catalan) is a celebration with Pagan (or even Egyptian) origins, which is celebrated in Catholic countries during the Lent period. Lent is a period of 40 days before Easter. During Lent, any leisure activities had to be suppressed. The idea with the Carnival was to immerse yourself in a huge party before the next 40 days. The word Carnival is said to have Latin origins and means to remove the meat: Carne levare (Carnival) or Carne tollendas (Carnestoltes), which is precisely what happens in lent: a period of fasting and abstinence before Easter. In fact, the Carnival began as a period to make the most of having more freedom where social rules are broken before Lent. Thus, there will be lots of food and it will all be calorific, like the Coca de Llardons (a pastry with meats like bacon and pork crackling) and butifarra de huevo (an egg pork sausage). The origin of the Barcelona Carnival dates back to 1333 with the provision of the Consejo de Ciento, who prohibited the launching of oranges and regulated the use of masks. During this time, the Barcelona Carnival started on All Saints Day and lasted for months. It was only since the 16th century that this celebration started to become the Carnival as we know it today. In the 19th century, costumes became popular and reached its peak, which ended during the Franco dictatorship which suspended the celebrations: the Carnival started again in 1980, after Franco’s death. The dance of the Molinet: in Born Cultural Centre, the arrival of the Queen is also celebrated. 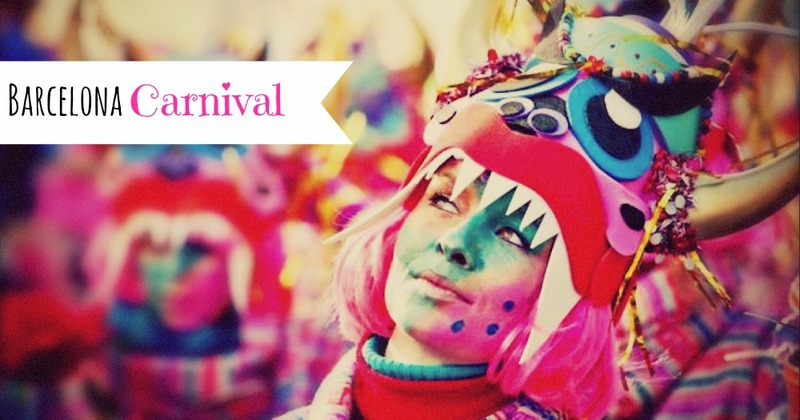 Imagination and creativity: are the main slogans at the Barcelona Carnival. On Saturday, people dress up and run around the streets of Barcelona. The initiative and originality of each one makes this Carnival very diverse and colourful. Each neighbourhood will celebrate the Carnaval de Las Ruas in their own way. The King’s Parade: On Sunday night the grand King’s Parade will march down the streets of Barcelona. This finishes on Paseo Picasso, raining confetti and balloons. The end of the Carnival: Ash Wednesday. The End of the Carnival symbolises the death of the King. There is a tradition where sardines are buried, then Lent can begin (06 March).